Our receivers have a feature that automatically adjusts the receiver’s correction level if your pet challenges the boundary. This discourages your pet from challenging the boundaries any further. The receiver automatically resets to the original level after 24 hours without any additional boundary challenges. 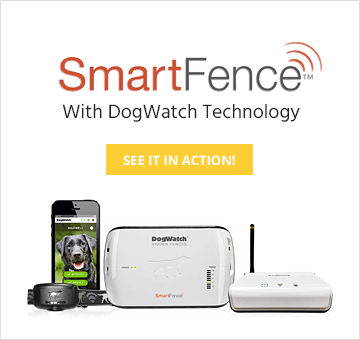 Our receivers also have a safety feature that let’s you know if your pet challenges his boundary. If your pet activates the audible alert or receives a correction, the status light on the receiver collar will flash a double flash instead of it’s usual single flash. If this happens more frequently than usual, you may need to increase the level of correction given to your pet. The receiver has an audible warning to alert the dog that he/she is approaching the boundary. Your pet will learn to stop at the audible warning before he reaches the hidden wire. The receiver used also offers a status light to confirm that your pet’s receiver is functioning properly. 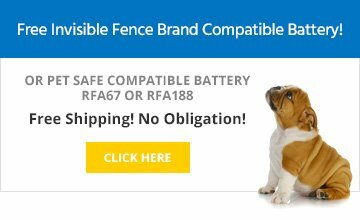 It also lets you know when the receiver battery is low and if your pet has recently challenged the electronic fence. This important feature provides valuable information to help ensure your pet stays safely in your yard. Our systems are designed to protect your pet from an over-correction in the unlikely event that your dog stands in the signal field and does not quickly exit the field. The receiver will also automatically reset once the dog leaves the signal field. Our receiver is also tested to withstand the harsh outdoor elements of rain, snow, sleet, and hail……as well as a sprinkler or two!